Get sharp, vibrant color and accurate photo-image quality. 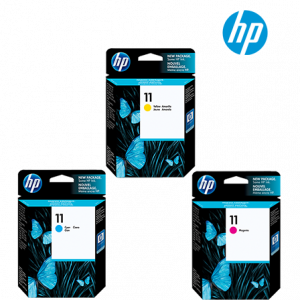 Patented, dye-based ink formulations in HP 11 Color Ink Cartridges make professional results easy and reliable, providing an excellent value. • Genuine HP-formulated dye-based inks for brightest possible colors. 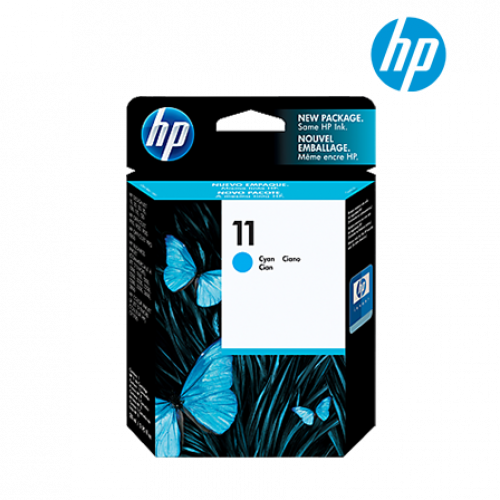 • Individually replaceable color ink cartridges maximize ink efficiency. 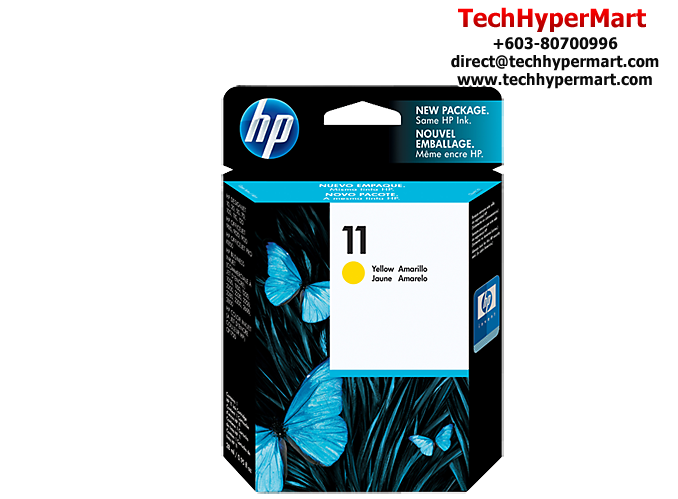 • Works as a modular system with the HP 10 Black Ink Cartridge and HP 11 Printheads. • Specially designed to work with HP inkjet specialty papers, transparencies and everyday papers. - This HP product is warranted to be free from defects in materials and workmanship.